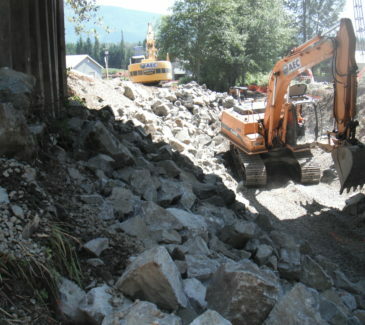 AEC was contracted by WSDOT to remove fish passage barriers along Wagley’s Creek by constructing a temporary access road and stream bypass. 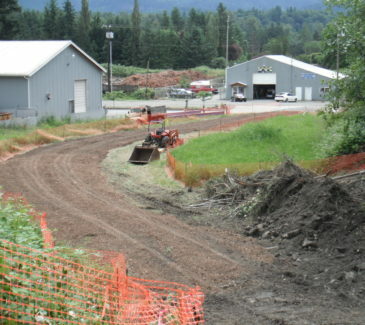 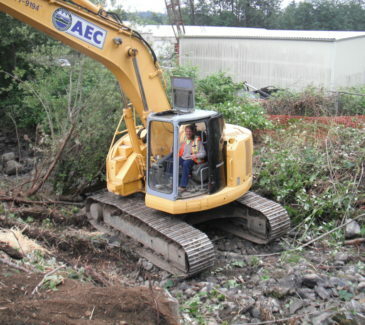 Our work included clearing and grubbing, stream diversion via pump around system, stream buffer construction, placement of streambed cobble and boulders, and extensive re-vegetation work. 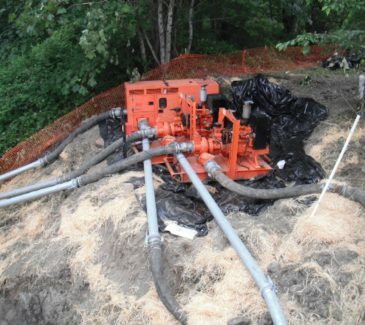 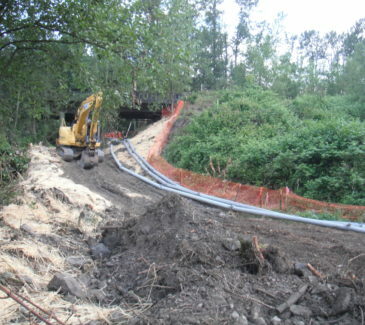 AEC chose to use a pump system for re-routing the creek due to the site’s uneven and steep terrain. 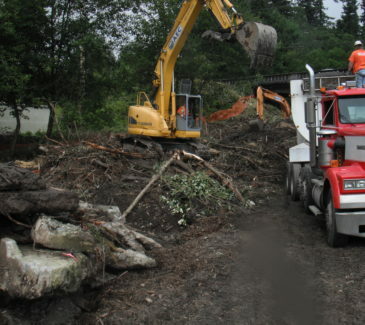 Planting efforts included incorporating a 3” soil amendment to a 10”depth and placing 1” of course compost followed by installing wood chip mulch to a 3” depth and planting nursery grown native plants. 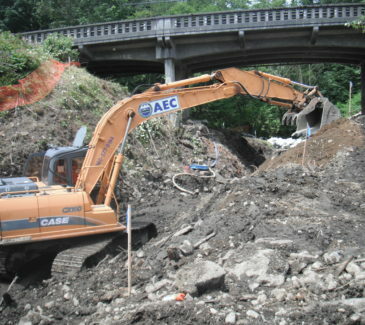 This project was scheduled for 26 working days but AEC completed the majority of the scope in 15 working days. 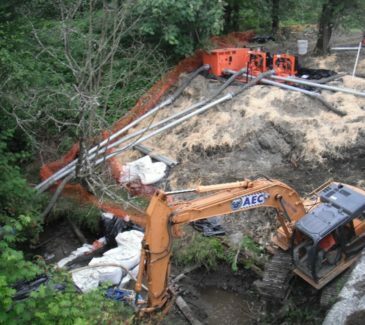 The work was completed under a highway bridge and required precision excavation practices due to the close proximity of the bridge pilings and abutments. 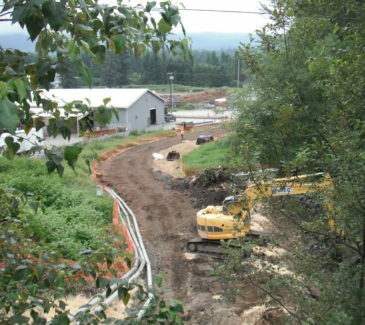 The project was estimated at $500,000; however AEC completed the work for $348,000 saving the Government and tax payers a considerable amount of money.